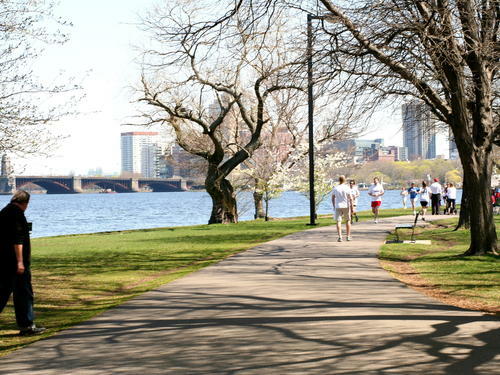 Running The Charles River Esplanade: AKA Amy pretends to be a normal person. I went for a run on the Esplanade on Thursday after work. I didn’t want to miss goodbye dinner/drinks/karaoke for one of my coworkers, but I also didn’t want to miss my run. So, I did my best to forget that I’m a giant spaz, and I left work for a run before meeting up with everyone at the bar. This probably wouldn’t have been a big deal for a normal person, but like I mentioned before; I’m a giant spaz. I don’t really like unfamiliar running routes…what if get lost? I’m pretty good at getting lost. And, part of this route was through the city…there are cars! and people! and more cars! Let’s assume I don’t get lost or hit by a car, and the shower isn’t weird or gross, and I don’t somehow lose access to my clothes; well, did I pack everything I need? I’ve got a towel, shampoo, my sunglasses, socks, and on an on, but did I forget something important? What if I forgot something important? Then what? —- Well, you get the point, right? Amy = Giant Spaz. All in all, I was able to act like a normal person, and (aside from all the people) it was a pretty nice place to run! 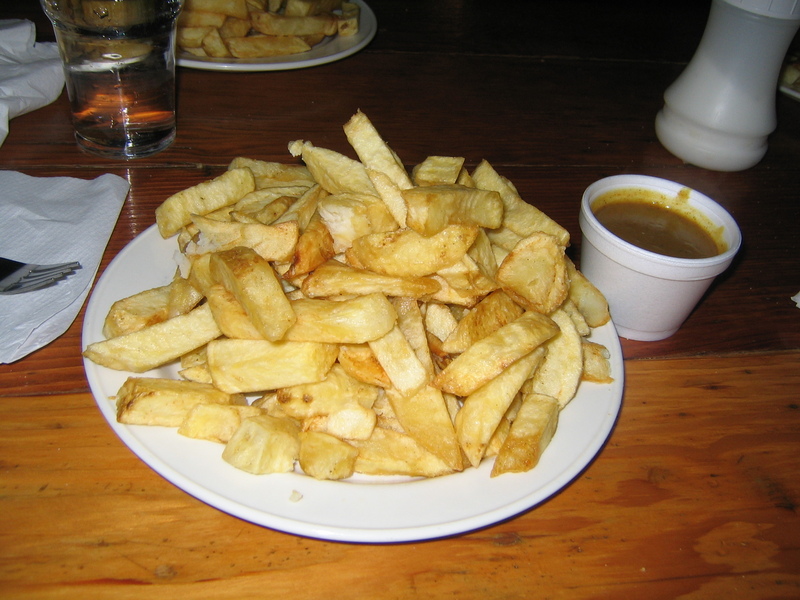 Plus, then I didn’t feel super guilty about the french fries I had for dinner! Not the ones I had for dinner, but you get the point!